ICD UK (est. 1998) are the main body of Indoor Driving. The three phases are taken indoors into a shortened format. Our Winter Series runs from October to April at Cricklands, The David Broome Event Centre. All dates are published as the summer season concludes. The three phases of Driving Trials are taken indoors into a shortened format, which we run as a one-day-event. For FODDTG we have the privilege of the all-weather-arenas so our Indoor Driving takes place outside. 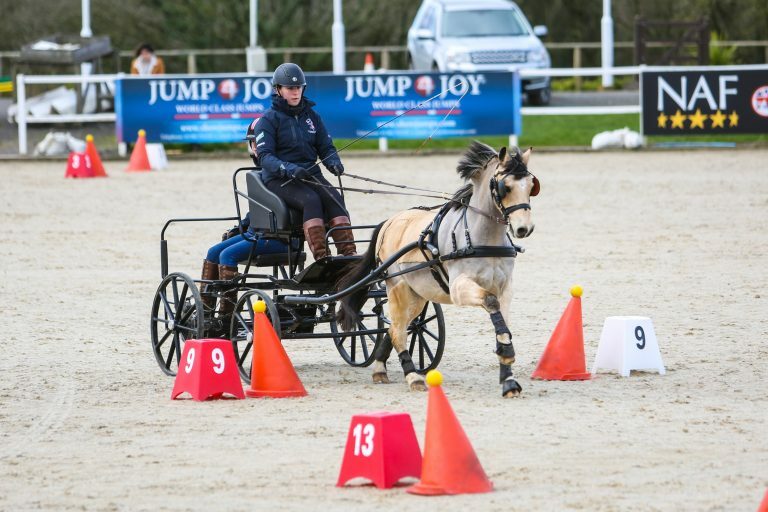 Once you’ve harnessed and warmed up, you drive your test, then head to the main arena for the cones & obstacles. The Indoor version of dressage. One judge marks paces while the other marks precision (just the accuracy of the course taken). For each judge, the marks are added up, taken from the perfect score and multiplied by 0.5 to give the penalty score. A driving-cones course is built at one end of the main arena. Time is allowed for drivers to walk the course. The course is then driven with the aim of keeping all the balls on top of the cones, when balls are dislodged penalties are incurred. The cones competition is scored as follows: five marks for a knockdown and one mark for each second over or below the target time which is set on a speed of 220 metres per minute. The Indoor version of the marathon. 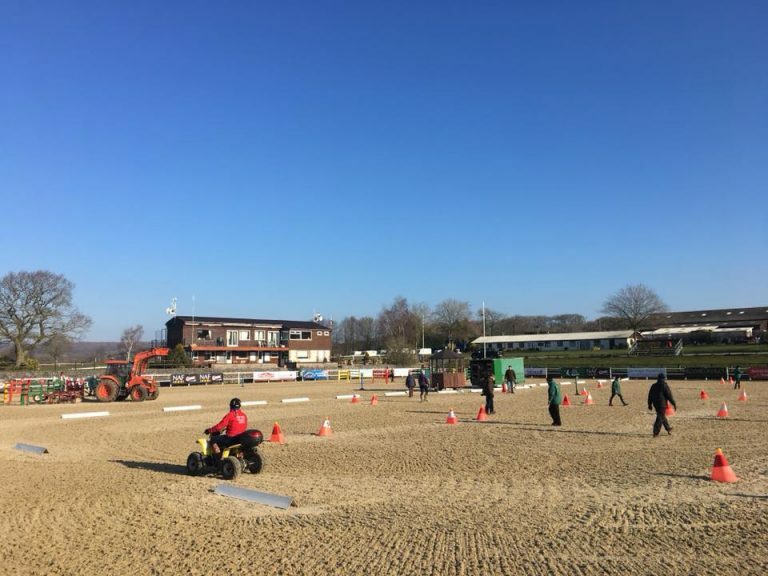 Organisers will let you know on the day how the obstacles are running: In pairs, one driver drives two, then takes a break whilst the other completes, then you go again – or – all four are driven consecutively. In this phase a good groom/backstepper is important – they can balance the carriage by leaning in around the corners and if needed remind the driver of the route! Usually around 3pm (depending on entry levels) competitors are invited back to the main arena for a presentation of the winners.